I consider myself a bit of a diy beachy waves spray expert--something that started as a kid, when I figured out the salty sea air made my waves in my hair appear. My hair had never been cut until I was in high school, so any bit of wave in my then stick-straight hair delighted me. I desperately wanted wavy hair like my mom, sister, and cousin when I was little. Over the years I've purchased many and made my own versions. I've got around 15 recipes so far, and make it a tradition to share one of them on the blog every year. This year I'm adding a little shimmer to the mix. 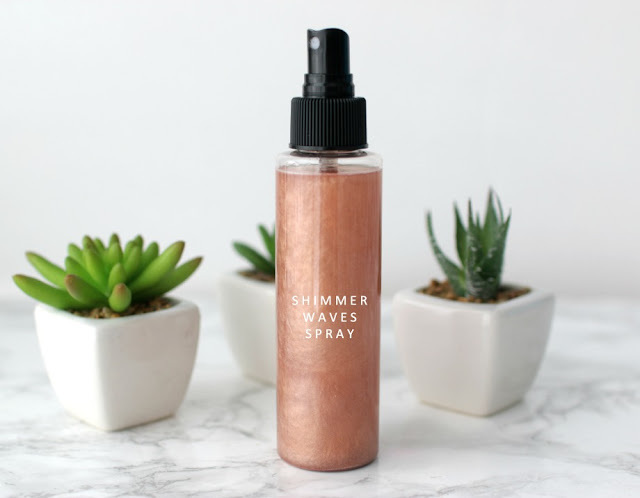 The idea came a few years ago when I had some left over mica from some diy highlighters and luminizers I had been making, and decided to throw some into a bottle of beachy waves spray. 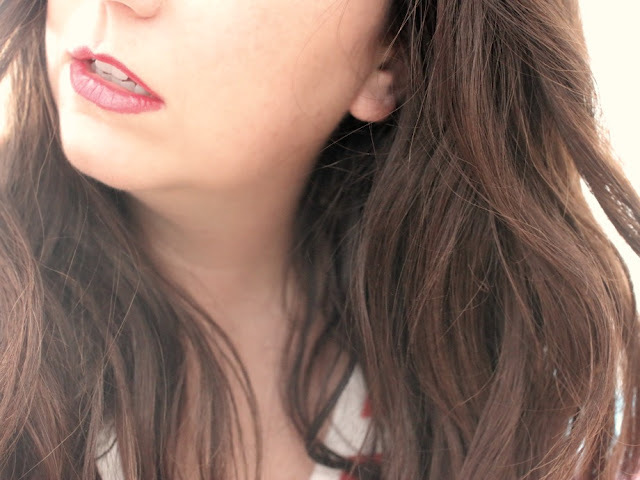 I kind of wanted to recreate the NUXE body oil, but for hair. 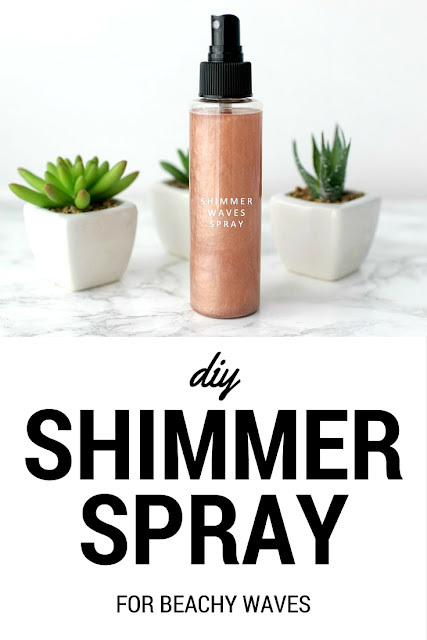 This is easy to make, and you can leave out the shimmer if you'd like. Since spray bottle sizes vary, I'll give general guidelines here. 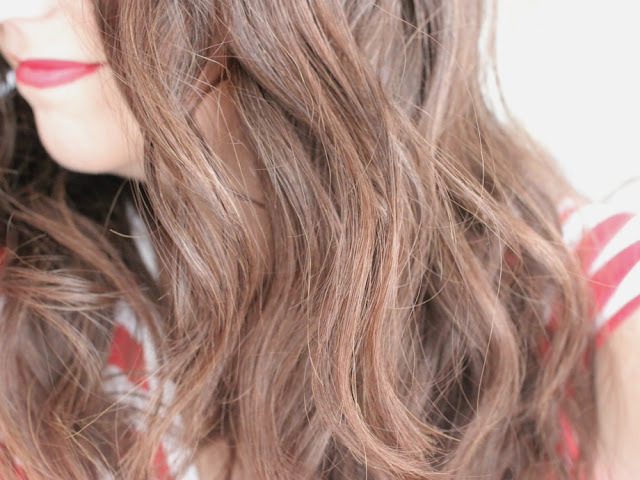 Apply to damp hair and use an old t-shirt to scrunch waves. Or use on hair curled with curling wand or curling iron. The effect is subtle, and looks better in person. If you have blonde hair, you'll definitely see it. 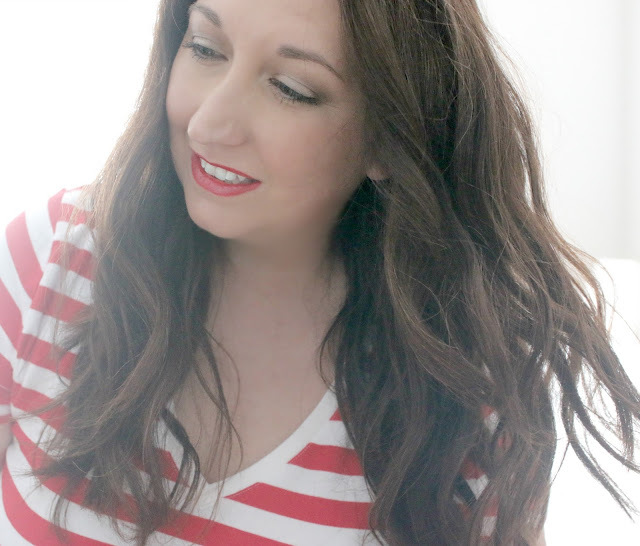 Have you ever made beachy waves spray? I have been dealing with jaw/ear/neck/shoulder pain all week. I think it's TMJ. This would be such a fun DIY project to take to the beach with us next week! My daughter has blonde hair and I know she would love it! Your hair looks gorgeous! What a great DIY! I really want to try this! I love that this recipe adds a little shimmer to your hair! That would be so much fun, and perfect for the summer! 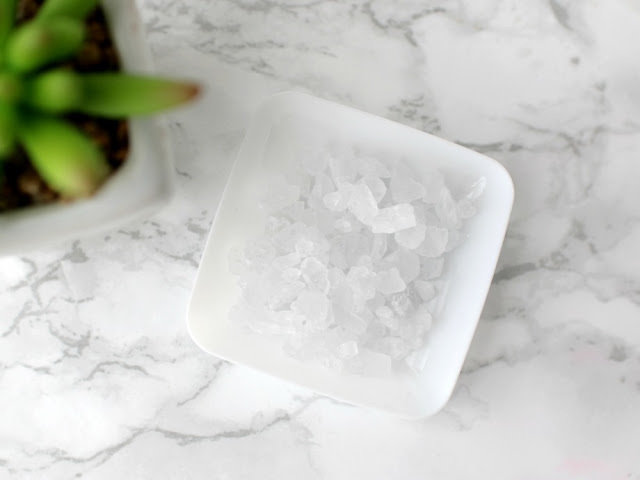 Such a cool DIY for hair and perfect for summer! Oh, wow, no electricity! At least you had a good nap, that should count for something. Wow, this is so cool! What a great DIY! Are you grinding your teeth? I had jaw issues for awhile & didnt even know it was from the middle of the night stuff I was so unaware of. Very cool! I need to make this for next year's beach trip! Sorry about the power outage and TMJ! I was bummed out about your power being out and then happy about your nap haha! Oh, the shimmer is such a nice added touch! I am loving this version of your wave spray, Elle:) Great way to add some shine to the hair. PS Yay for naps, but not for your pain:( Hope it goes away soon. What a great idea! 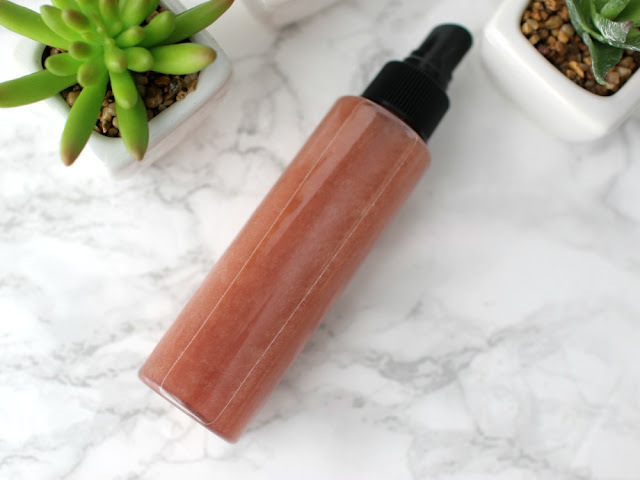 It's beautiful in the bottle-I bet it's even better on hair! Your waves look amazing. I hope you feel better soon. This is so pretty! I haven't made my own sea salt spray before. I'll have to give this a try! oh wow! amazing results too, i need to try this!! 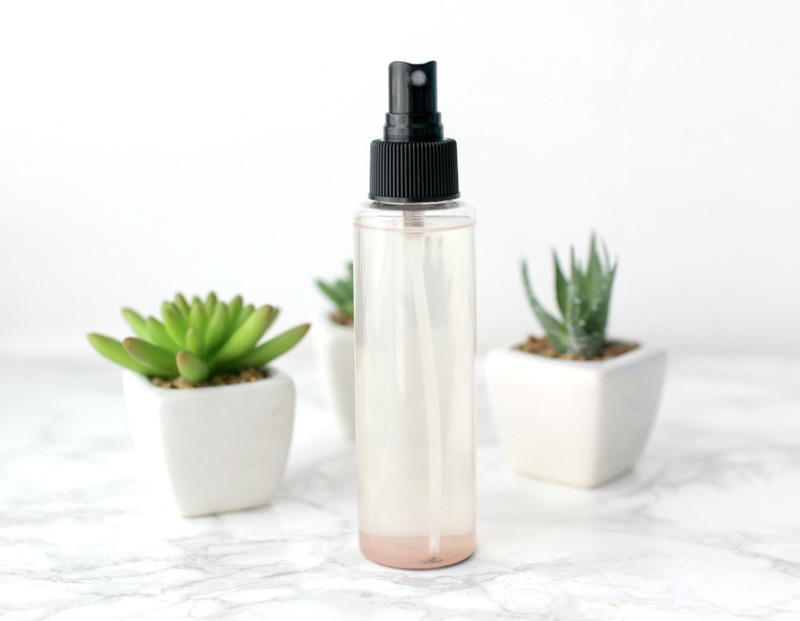 I love sea salt spray in my hair, and it's such a good idea to make your own! Love the shimmer. I've never made a sea salt spray before. I love the idea of the added shimmer! I love how your waves look and that shimmer is so pretty! I hope your TMJ gets better! I'm sure that is a miserable feeling. It looks amazing! I have naturally wavy hair, so I don't really need a sea salt spray, but more something that stops the frizz and helps define the waves. Looks fantastic on you! Sorry to hear about your TMJ. BTW, a friend of mine just wrote a really smart book about women and beauty. If you're interested, I can mail you a copy. (I bought a bunch.) She even quotes me in it. Pretty looking and functional! Love it! Sorry to hear about the pain. I've had TMJ before. Make sure you keep your jaw relaxed and there are exercises you can do to stretch it out that will make it feel better. I ended up having to wear a mouth guard at night for awhile but it helped. Hope you get relief! I mean, GENIUS!!!!! I love me some sea salt spray!! 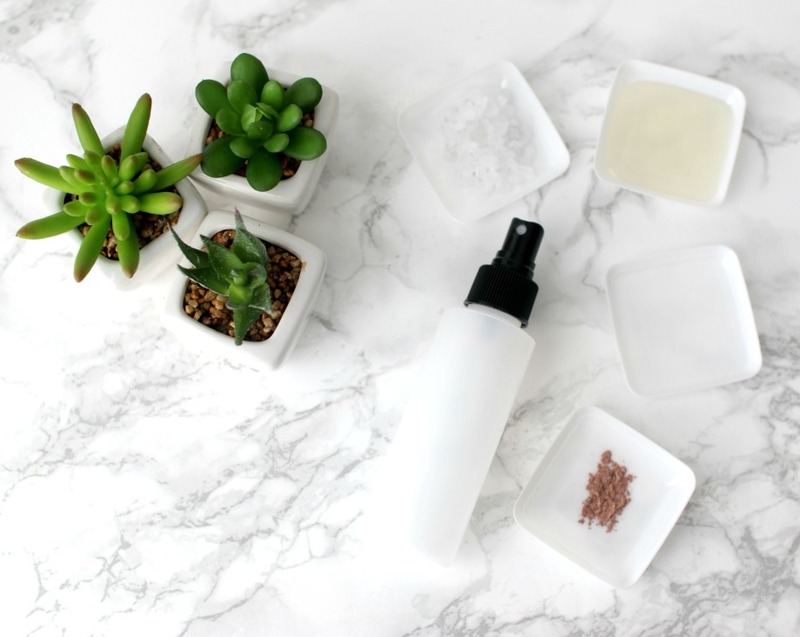 This is one of the most useful and coolest hair DIYs I've ever seen! Thanks for sharing, girl! I was obsessed with the shimmer when I saw it on your snap! I need to make this asap! This sounds and looks like so much fun, Elle! Another winning DIY from you. Gorgeous! You look fab. Love your hair! That's cool that you made it. I naturally have curly/wavy hair, but I want it straight. Also... you had never had your hair cut before high school?! Did I read that correctly?? How long was your hair?! This looks like such a fun and useful DIY! I just broke down and bought some beach spray for my hair, but I think next time I'll try to DIY it. Ooh, I need to try and make my own. I have tried a few and can't say I love them... But this looks awesome!